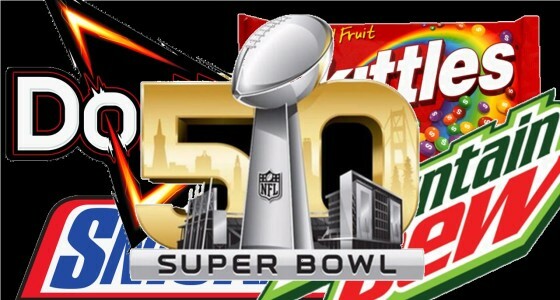 What the heck is the big deal about advertising in the Super Bowl anyway? Why are dozens of advertisers willing to pay $5 million for a 30-second commercial? First, it’s the numbers — an average of 111 million watched this year’s game. When you consider the total population of the U.S. (318 million), it’s easy to see that one in three people were tuned in. That’s a lot. Picture one third of the entire population of country doing the exact same thing at the same time. Second, the viewers’ attitude while watching the commercials. Many people avoid commercials, or ignore them or go to the bathroom during them. During the Super Bowl, most people actually look forward to seeing the commercials! Consumers are ready and waiting to receive a sales message. Lastly, positioning. If your firm advertises during the Super Bowl, it’s a pretty substantial organization. Thus, instant credibility. The very fact that you’re advertising during the Super Bowl automatically ranks you as a top organization in the minds of most people. But even if you don’t have millions to use on Super Bowl TV ads, you can still learn and apply some lessons from these advertisers. Not always, but every once in a while. Super Bowl advertising is going all-in with an attention-getting, expensive effort that CAN pay off big. How many people watching the Super Bowl were actually considering building a website? Not a high percentage of the total. That didn’t stop two website development companies from pitching their services to the whole group. Even though we all saw it, they focused on the points that were important to their prospects. Everyone else may have had no idea what they were talking about, but it didn’t matter. The advertisers got the attention of their prospects and pitched to them instead of the whole market. Don’t let a large audience generalize your advertising. Keep it focused on your target. In my column covering the five best and five worst commercials, I chose Mountain Dew’s 30-second spot for its Kickstart energy drink, “Puppymonkeybaby,” as the best. My friends and associates blasted me, saying it was a weird, creepy ad. I told them Mountain Dew really hit their market on the nose, because young people love anything that upsets adults. I was right — “Puppymonkeybaby” was the number-one performing ad on game day by digital engagement. It earned the most digital share of voice and over 2 million online views. Most spots in Super Bowl 50 weren’t particularly special — just a rehash of things we’ve all seen many times before with a new twist. When you’re on that international stage, you need to be a Voice, not an Echo. …to introduce new product lines and grab attention. Most have built-in press opportunities. They also give you a time period to ramp up to the “big reveal” — or you can release teaser ads. If it’s a big event, whether the Canfield Fair or the Super Bowl, that means there are many, many people who are fans and attend, watch or participate. Take advantage of the messaging and the built-in audience and fans on social media — the event’s and yours. Not everyone can be a Super Bowl advertiser, but we can all learn some lessons from them. And then we can win at the game that really counts —our marketing.